Timothy Farrell, renowned exploitation actor. 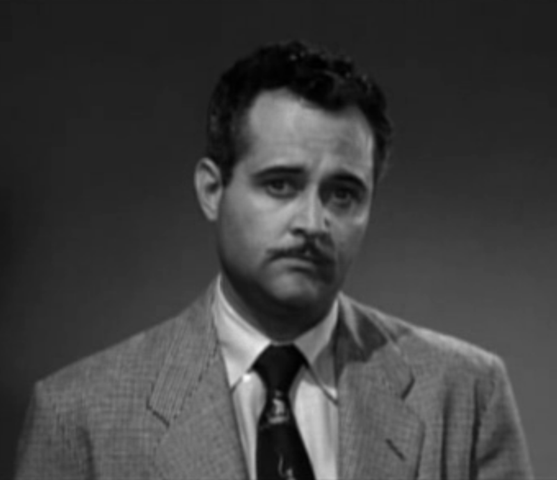 Hometown Girl, released in 1948, is the first film to star exploitation actor Timothy Farrell of Ed Wood fame. Farrell reportedly played the role of Dr. Wright, a role he would later take on again for the partially surviving Test Tube Babies, which was released a few years after. The film was directed by Merle McConnell and starred Pat Carroll, known for her role as Ursula in The Little Mermaid. The film details an unplanned pregnancy that ruins the reputation of a young girl in a small town and is considered to be a typical George Weiss exploitation film. It was not made available in any known home video formats, and no surviving copies are known to exist. In fact, very little information of the film is available in general minus a handful of publicity stills/posters. ↑ IMDb page Retrieved 19 Mar '16.